Apparently, we as a society are so wrapped up in the idea of how "gay" objects, clothing styles, and activities are that we can't even leave automobiles out of it! 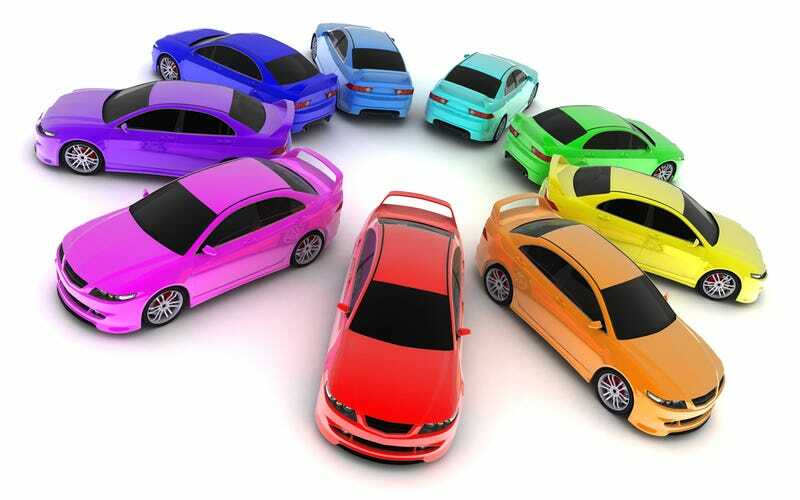 Thus, the guys at Car Talk, those true caterers of car conversation, have come up with these: lists of the top 10 gay and lesbian cars. Let's take a look, shall we? Car Talk took a completely non-scientific poll and queried their lesbian and gay listeners, and apparently some straight and bisexual people, too, asking for nominations of the best queer vehicles. Our lackeys have culled through thousands of nominations... nominations from gays, from lesbians, from boring heterosexuals like us... and from those of you who fall into the "other" category. Or "all of the above." Not that there's anything wrong with that. Honda CR-V? I don't care that you "saw a ton of them in the parking lot at Lillith Fair," my father drives a 2011 Honda CR-V. That SUV is forever ruined to me as some kind of lesbian icon. But as a Gunmanian, I am pretty happy to see not one but two Subaru vehicles making the list. If you didn't know it, Subaru's Japanese factory is in Gunma Prefecture, part of the Tokyo Regional Area. I just wish there was more representation of the Subaru WRX STI or something else a bit sleeker. Oh, and BMW. Not because I see BMWs as iconically lesbian, I just happen to be a big fan of them. I think the X3 would fit very well on the list. And I briefly had one in white, but only temporarily until I got my 3-series sedan. The X3 had its advantages: it was better for hanging out of the hatch... And better for storing stuff I needed to bring to a second date. More prestigious than the X-Terra, too. Good for seeming utterly pretentious and important in the area of Austin's West Campus, where I lived wedged between sorority houses. Okay, so how about the Top 10 Gay Cars? Wait... The 3-series is on the gay list? My God, this changes everything (including my gender identity and sexual orientation). No! I won't have it, Car Talk, you can't make me choose! I'll have my BMW and drive it, too (below and on the left). Or just put it on both lists. Yeah, I'm cool with that, too. BMWS ON ALL THE LISTS! And what's with all those Volkswagons? Is VW to gay men what Subaru is to lesbian women? What do you think, folks, are these lists accurate? How about top 10 bisexual cars? Top 10 transgender cars? Top 10 asexual cars? If you have any ideas for the lists for those identities, let us know in the comments. Images via Shutterstock and Kat Callahan.